Possible resources to supplement or enhance the activities in these courses are described below. Please note that these materials are not required for teaching this course; this list is provided as a convenience for teachers seeking additional classroom resources. Some of these materials were suggested by teachers who field-tested the course. Others were reviewed and selected by SEPUP staff. In some school districts, you may find it helpful to share this list with a librarian or media specialist, who may be able to advise you on how to locate materials within your district or who may have access to discretionary funds. Public libraries can be another source for some of these materials. Denotes especially relevant and/or useful resources. Resources that can be used to integrate science with another subject. Resources that can be used to support the instruction of particular student populations, such as English-language learners or gifted students. S Cole, Joanna, Enik, Ted, and Degan, Bruce. The Magic School Bus Gets Baked in a Cake: A Book about Kitchen Chemistry. Scholastic, Inc., New York, NY, 1995. This illustrated simple chapter book introduces mixtures and reactions as Ms. Frizzle’s class investigates the baking of a cake. This is a good resource to engage reluctant learners or to introduce the topic of chemistry for younger middle school students. I Gow, Mary. Great Minds of Science: Robert Boyle Pioneer of Experimental Chemistry, Enslow Publishers, Inc. Berkeley Heights, NJ, 2005. This 128 page book, written for middle school students examines Robert Boyle’s personal life as well as his scientific investigations and conclusions. It discusses the resistance he met when he questioned many long-held ideas in the field of chemistry. This book details the historical setting that Boyle worked in as well as the effect seventeenth century culture and beliefs had on Boyle’s work. S Maurer, Tracey Nelson. Changing Matter: Understanding Physical and Chemical Changes. Rourke Publishing, Florida, 2012. This short book contains straightforward text that is supplemented with simple photographs to provide an easy-to-understand approach to physical and chemical change. Explanations include references to molecules, atoms, and bonding. ** Miller, Ron. Elements: What You Really Want to Know. Lerner Publications Co. Minneapolis, MN, 2005. Supplemental information about the naturally occurring and transuranium elements in the periodic table in provided in this book. Besides the factual information about structure and compounds, this book looks at how scientists studied the elements through history. S Bradley, Kimberly and Meisel, Paul. Energy Makes Things Happen (Let’s-Read-and-Find-Out-Science). HarperCollins, Inc., New York, NY, 2002. An illustrated picture book introduces different types of energy and energy transfers. It can be used to reinforce energy concepts with struggling readers or to introduce the energy unit to the class. S Cole, Joanna, and Degan, Bruce. The Magic School Bus and the Electric Field Trip. Scholastic, Inc., New York, NY, 1999. This 48-page information-packed book is one of the longest and most informative of the Magic School Bus series. It explains how energy is produced by power plants, how electric power is transferred, and how electricity makes heat and light. It is appropriate for use with any age middle school student. V** Roller Coaster Physics (DVD) Discover School, Discovery Communications, Inc. 2004. Roller Coaster Physics: From the perspective of some of the scariest roller coasters in the world, students learn about friction, potential energy, gravity, and acceleration. The Planet Electric: How do electric generators create electricity? Students learn about the physics of motion in an electrical generator. S Saunders, Nigel and Chapman, Steven. Energy Essentials Series, Raintree Publishers, Chicago, IL, 2004. 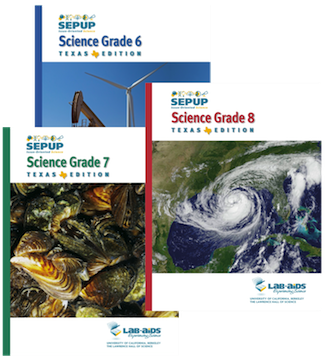 This series of 4 books, Energy Transfers, Fossil Fuel, Nuclear Energy, and Renewable Energy explore how energy is used in our world including topics such as energy transformations, conservation, renewable energy resources. Each book in the series has 48 pages filled with photographs, diagrams and current information. While the information in the books is accessible for the low reader or second language learner, the content is appropriate for all middle school students. Search tips for further research on the internet are also provided. S Sheehan, Thomas F. City Science: Playground Science Rourke Publishing, Vero Beach, FL. 2006. This 24 page picture book looks at scientific applications that are present on a school playground. Physics concepts such as friction, incline planes, motion and energy are presented through pictures and primary level text. Second language students or students with reading difficulties will find this book comprehensible. V Bill Nye the Science Guy: Simple Machines (DVD). Disney Educational Productions, Newton, Pennsylvania, 2011. This 26-minute DVD on simple machines has the question-and-answer format typical of Bill Nye videos. It is a good supplement to the unit as Bill Nye explores how complex machines are made up of wheels, pulleys, ramps, and levers. S Bradley, Kimberly and Meisel, Paul. Forces Make Things Move (Let’s-Read-and-Find-Out-Science). HarperCollins, Inc., New York, NY, 2005. A picture book introduces forces, inertia, and friction. It can be used to reinforce motion concepts with struggling readers or to introduce the motion unit to the class. S Isogawa, Yoshihito. The LEGO Technic Idea Book: Simple Machines. No Starch Press, San Francisco, CA, 2010. Especially for classrooms or students with access to LEGO Technic pieces, this book contains photographs showing how to use those materials to build gears, pulleys, and other simple machines. It can provide an excellent extension for students who are ready for a deeper exploration of concepts of motion and machines. S Wells, Robert. How Do You Lift a Lion? (Wells of Knowledge Science). Albert Whitman & Co., Illinois, 1996. An illustrated picture book that use drawings and text to explain how different machines could be used to lift the weight of a lion. It can be used to review simple machines with struggling readers or to introduce simple machines to the class. I Christian, Peggy and Barbara H. Lember. If You Find a Rock. New York: Harcourt, Inc., 2008. This picture book describes a variety of rocks from a child’s perspective (e.g. skipping rock, worry rock) and can be used to integrate science with language arts. The text is in the form of poems, with such lines as, “If you find a rock—a great rock—that towers over you, then you have found a climbing rock.” There are dreamlike photographs of children interacting with each type of rock being described. I Gallant, Roy. Dance of the Continents. Tarrytown, NY: Benchmark Books, 2000. This 80-page book for middle school students on plate tectonics could be used to integrate science with social studies. Although Gallant has since published another book on this topic (Plates: Restless Earth, 2003), this book is unusual in its approach, which describes in detail the historical evolution of Western ideas about earth and events such volcanoes. The theory of plate tectonics is not introduced until the sixth of the eight chapters. The book includes illustrations, historical photographs, glossary, and index. S Gans, Roma and Holly Keller. Let’s Go Rock Collecting. New York: Harper Collins Publishers, 1997. Intended for primary school students, this picture book can be used to aid students who are having difficulty with the reading level or the concepts of rock types and hardness, which are presented in Unit B. The excellent illustrations provide a context for understanding igneous, sedimentary, and metamorphic rocks, while the text does a good job of describing these complicated ideas simply. Several rock types are shown in labeled photographs. ** McNulty, Faith and Marc Simont. How to Dig a Hole to the Other Side of the World. New York: HarperTrophy Publishers, 1990. With lots of (slightly dated) illustrations and a terrific description of digging down through layers of the earth, this early middle-grade book can be an excellent read-aloud supplement to help students visualize layers of the earth. Ricciuti, Edward and Margaret W. Carruthers. National Audubon Society First Field Guide: Rocks and Minerals. New York: Scholastic Inc., 2007. An excellent field guide on rocks and minerals that can be used by either students or teachers. While the first 40 pages provide background information on rocks and minerals, the majority of the book contains two-page spreads on common rocks and minerals. There is a photo of each mineral or rock, as well as a description of its properties and the environment in which it is commonly found. Symes, R. F. and R.R. Harding. DK Eyewitness Book: Crystal & Gem. New York: Dorling Kindersley, Inc., 2007. This is a fact-and photograph-filled book for students or teachers who want more information on minerals and their histories as gemstones. T, S Tarbuck, Ed and Fred Lutgens. The Theory of Plate Tectonics CD-ROM. Taos, NM: Tasa Graphic Arts, Inc., 2003. This CD-ROM can be used with students in grade 7 or higher to supplement the study of plate tectonics. The program contains computer animations as well as activities in which students gather or analyze evidence on continental drift and plate tectonics. Available for use on a single computer for approximately $59 from Tasa Graphic Arts Inc., 1-800-293-2725, www.TasaGraphicArts.com. I, V Verne, Jules. A Journey to the Center of the Earth. ** Aguilar, David. 13 Planets: The Latest View of the Solar System. National Geographic Children’s Books, Washington, D.C., 2011. In this 64-page book, the most recent scientific thinking regarding our solar system is presented by Harvard-Smithsonian Center for Astrophysics astronomer David Aguilar. As of 2013, the International Astronomical Union recognized eight classical planets and five dwarf planets (such as Ceres). The text is supplemented with high-quality photographs and illustrations. Lippincott, Kristen. DK Eyewitness Book: Astronomy. New York: Dorling Kindersley, Inc., 2008. In addition to information on objects in and beyond the Solar System, this book recounts the history of astronomy and telescopes. Its 72 pages include numerous illustrations and photographs in a format that will appeal to fans of the Eyewitness Science series. V NOVA: Telescope-Hunting the Edge of Space (DVD). PBS, Arlington, VA, 2010. This 120-minute DVD considers how the development of the telescope led to new understandings of our solar system and outer space. It goes through these developments with a historical approach, first describing how early astronomers discovered planets and eventually ending with modern telescope technology and the resulting questions that arise about our universe. Scott, Elaine. Space, Stars, and the Beginning of Time: What the Hubble Telescope Saw. Clarion Books, New York, NY, 2011. A 66-page book with photographs taken by the Hubble Telescope contains explanations about the science made possible by the Hubble’s instruments. It includes images of planets, stars, and nebulae. S Skurzynski, Gloria. Zero Gravity. New York: Bradbury Press, 1994. This 32-page illustrated book is written for upper elementary- and middle-level students. It provides a clear presentation of the effects of gravity on Earth and explains microgravity in spacecraft with clear and simple illustrations. Broll, Brandon. Microcosmos: Discovering The World Through Microscopic Images From 20X to over 22 Million X Magnification. Firefly Books, 2010. A collection of 205 photographs taken mostly with a scanning electron microscope, this book is divided into six chapters: microorganisms, botany, the human body, zoology, minerals, and technology. It is an excellent resource for those who wish to see lots of microscope images. V Intimate Strangers: Unseen Life on Earth – Part One: The Tree of Life (DVD). PBS, Arlington, VA, 1999. One of a four-part series, the first episode discusses the genetic relationships that have led to the reworking of modern classification. The focus is particularly on microbes. Though no longer commercially available, segments of this DVD are available online and through libraries. Kramer, Stephen and Kunkel, Dennis. Hidden Worlds: Looking Through a Scientist’s Microscope (Scientists in the Field Series). Sandpiper Press, Singapore, 2003. This book takes a scientific look at microscopes. It describes a scientist who became interested in microscopes, how he uses them in his work and the discoveries he has made. The book includes some amazing photos of microscopic images. Smithsonian: Natural History. DK Publishing, New York, NY, 2010. A reference book with over 600 pages, it explains classification and provides photographs of thousands of species, as well as a chapter on minerals, rocks, and fossils. It is an interesting resource that provides a visual understanding of the diversity of life. S Strauss, Rochelle and Thompson, Margot. Tree of Life: The Incredible Biodiversity of Life on Earth. Kids Can Press, 2013. A child-friendly approach to understanding the life on earth, this book considers the relationship among organisms using the metaphor of a tree. It summarizes and describes the five kingdoms, using the kingdom name Protoctista to refer to protists. ** Davidson, Sue and Morgan, Ben. Human Body Revealed, DK Publishing. New York, NY, 2002. This is a picture book designed for middle school students. Transparent templates show images of the various systems in the human body. As the reader adds or takes away templates, the interactions among body systems can be seen. Along with the images on the templates, microscopic photographs of some of the structures help describe each system. S First Human Body Encyclopedia. DK Publishing, New York, NY, 2005. This 128-page reference book can be used to elaborate, supplement, or assist students with basic concepts about the human body. Each page has multiple photographs or illustrations that supplement the comprehensive but straightforward text. The simpler reading level can be particularly helpful to struggling readers or English language learners. I McClafferty, Carla Killough. The Head Bone’s Connected to the Neck Bone: The Weird, Wacky, and Wonderful X-Ray. Farrar, Straus and Giroux Books for Young Readers, 2001. This book looks at x-rays from a historical perspective. It begins with Roentgen’s radiation experiments detailing the early development and uses of x-rays. It ends by discussing the future technology of the x-ray. Includes references to websites. V NOVA: The Universe Within (DVD). WGBH, Boston, MA, 2004. This DVD presents fiber optic footage from inside the human body. A story line is built around performance clips of and interviews with highly successful athletes. S** Simon, Seymour. Guts: Our Digestive System. Harper-Collins Children’s Books, New York, NY, 2005. This picture book can be used to help students who are having difficulty with grade level reading or the structure and function of the digestive system. This book uses outstanding photographs showing of every step of the digestive system, starting with food entering the mouth, traveling through the major organs and even eliminating waste. S Berger, Melvin and Hafner, Marylin. Germs Make Me Sick! (Let’s-Read-and-Find-Out-Science). HarperCollins, Inc., New York, NY, 1995. An illustrated picture book explains how germs make people sick as well as the difference between bacteria and viruses. It can be used to review concepts with struggling readers or to introduce the cell unit to the class. ** Cohen, Marina. What is Cell Theory? (Shaping Modern Science). Crabtree Publishing Co., New York, NY, 2011. This 64-page book follows the historical events that led to the development of the cell theory, beginning with Robert Hooke and ending with Rudolph Virchow. It is excellent supplementary resource to the unit. V Intimate Strangers: Unseen Life on Earth – Part Three: Dangerous Friends and Friendly Enemies (DVD). PBS, Arlington, VA, 1999. One of a four-part series, the third episode focuses on microbes and infectious disease. Incidences of disease outbreaks are examined. Though no longer commercially available, segments of this DVD are available online and through libraries. S Kowalski, Kathiann M. Attack of the Superbugs: The Crisis of Drug-Resistant Diseases (Issues in Focus Today). Enslow Publishers, Berkley Heights, NJ, 2005. A book for advanced readers, it describes how the bacteria that cause disease have evolved to become drug resistant. The book explores the technology and current research that is attempting to keep up with them. The book presents the research through the description of several case studies. Phelan, Glen. Killing Germs, Saving Lives: The Quest for the First Vaccines. National Geographic Children’s Books, Washington, D.C., 2006. This book recounts the historical development of vaccines as well as current efforts to find new vaccines. It looks at how ideas about disease have changed through history and how long it takes for new discoveries to be made. Includes a time line. S Bardoe, Cheryl and Smith, Jos. Gregor Mendel: The Friar Who Grew Peas. Harry N. Abrams, 2006. An illustrated picture book biography tells the story of Gregor Mendel’s life and work in the field of genetics. Illustrations and graphs help explain his experiments. The text includes quotes from Mendel’s own writing. T** BioLogica. http://biologica.concord.org/ The Concord Consortium, 2000. This interactive software allows students to explore genetics at many different levels from DNA to chromosome to population. Built-in animations make meiosis and fertilization visible at the level of the chromosome. Students manipulate the mechanisms of genetics with various populations and observe the results. The program runs on both Windows and Macintosh computers. Gonick, Larry (illustrated by Mark Wheelis). The Cartoon Guide to Genetics. New York: Harper Perennial, 1991 (revised edition). This is one of a series of using a cartoon format to present serious science content by Gonick. Mendelian genetics, molecular biology, and genetic engineering are presented in this accessible format. V, T NOVA: Cracking the Code of Life (DVD). WGBH, Boston, MA, 2004. This DVD presents an overview of the story behind the mapping of the human genome and its ethical implications. It highlights advances in the field of human genetics, and uses concrete examples and excellent graphics to explain the relevant science. Different segments of the DVD can be shown at different points during the genetics unit. I Phelan, Glen. Double Helix: The Quest to Uncover the Structure of DNA (National Geographic Science Quest). National Geographic Children’s Books, 2006. This book traces the historical steps in the discovery of DNA’s structure. It describes how Watson and Crick used Mendel’s experiments with pea plants along with Wilkins’ and Franklin’s x-ray photos to develop a model of the double-helix structure of DNA. S Walker, Richard. Genes and DNA (Kingfisher Knowledge). Kingfisher Publishers, 2003. This is a resource book that covers genes and inheritance, DNA and genetic technology. There are beautiful, full-color illustrations and photographs. The figures and graphics will help low readers understand the complex concepts of DNA and genetics. S Biskup, Agnieseka, and Smith, Tod. Exploring Ecosystems with Max Axiom, Super Scientist (Graphic Science Series). Capstone Press, Minnesota, 2007. One of a series of books explains science using a graphic book format and presents the key character as a superhero scientist. This book describes the cycling of matter within ecosystems. It can be used to engage reluctant or struggling readers. Bright, Chris. Life Out of Bounds: Bioinvasion in a Borderless World. W. W. Norton and Company, New York, NY, 1998. A 288-page paperback book that can provide additional information for teachers or used to extend the unit for advanced readers. It contains numerous vignettes on invasive species in diverse worldwide habitats, including the zebra mussel and many of the introduced species researched by students in this unit. S Drake, Jane, Love, Ann, and Thurman, Mark. Alien Invaders: Species that Threaten Our World. Tundra Books, Ontario, CA, 2008. Chapters on different invasive species are told as individual stories. One section of the book, titled “Communities Under Siege,” identifies ecosystems that are changing as a result of introduced species. The Lake Victoria ecosystem—described in the ecology unit—is one of those included. The book can be used to engage reluctant or struggling readers. V, T Essential Science for Teachers: Life Science: Session 7: Energy Flow in Communities. Annenberg Learner, Washington, D.C., 2013. V Nova: Deep Sea Invasion (DVD). WGBH, Boston, MA, 2003. This DVD details the out-of-control growth of an aquarium plant in the Mediterranean Sea and in other bodies of water throughout the world, including the United States. The video discusses the genetic characteristics of the plant that made it a “killer algae” and what efforts are being mounted to eliminate it. Though no longer commercially available, this DVD may be available through libraries. Planet Earth (DVD). BBC Worldwide, 2007. Narrated by David Attenborough, this eleven-part series contains video footage of a wide variety of Earth’s ecosystems, from deserts to the deep ocean. The cinematography is amazing, with many scenes of the natural world captured on-screen for the first time. Arnold, Caroline. Giant Sea Reptiles of the Dinosaur Age. Clarion Books, 2007. The Mesozoic Era is the setting for this 40-page book with beautiful watercolor illustrations. The book describes the giant sea reptiles that lived during this time and tells how scientists use their physical characteristics to predict how they might have behaved. Dingus, Lowell, Chiappe, Luis M and Coria, Rodlofo. Dinosaur Eggs Discovered! Unscrambling the Clues, Twenty-First Century Books, Lerner Publishing Group, 2007. This book details the experiences of a group of paleontologists in Patagonia, Argentina. While looking for dinosaur fossils, they find one of the largest dinosaur egg discoveries in history. The book discusses their research of the dinosaurs that laid the eggs—their identity, their age, and what caused their extinction. A valuable teaching resource that presents the broader rationale for teaching about evolution—it provides a unifying theory for the life sciences and provides strong examples of the nature of scientific inquiry—as well as sample activities for the teaching of evolution at varied grade levels. S Pringle, Laurence and Jenkins, Steve. Billion of Years, Amazing Changes: The Story of Evolution. Boyds Mill Press, Pennsylvania, 2011. With entire chapters on different lines of evidence for evolution, this book can be used to expand or enhance the information provided in the evolution unit. As book intended for middle school students, it is a good resource for advanced students who are interested in the topic of evolution. S Sis, Peter. Farrar, Straus and Giroux. The Tree of Life: Charles Darwin, Walker Books Ltd., 2003. This book examines Darwin’s public and private life. There are many watercolor illustrations based on what he saw and recorded during his research. These include diary pages, maps, charts, and a foldout spread of On the Origin of Species. Its readability makes it appropriate for students who have difficulty with typical middle school reading levels. A Teachers Guide may be found at www.petersis.com/content/tree_teachers_ guide.html. Pulitzer Prize-winning nonfiction about Peter and Rosemary Grant, scientists who have spent twenty years documenting the ongoing changes within finch populations in the Galapagos Archipelago. Their evidence demonstrates that the pace of evolutionary change can be surprisingly fast under some conditions. Bail, Raymond. A Handful of Dirt. New York: Walker & Company, 2000. For use with students 8–12 years old, this is a well-written book on the organic components of soil. Each double-page spread contains 1–2 paragraphs on soil, and is surrounded by captioned photographs, including close-ups of slugs, earthworms, and bacteria. Downs, Sandra. Shaping the Earth: Erosion. Brookfield, CT: Twenty-First Century Books, 2000. A nonfiction book for middle-grade students, Shaping the Earth extensively describes the role of water in changing earth’s surface. There are also chapters on how glaciation, wind, and humans have contributed to a changing landscape. The 64-page book contains seven chapters, a glossary, and an index. Photographs highlight some of the effects of erosion, although the book does not contain the range of images one might expect in a book of this nature. T** Science Court: Soil. CD-ROM. Watertown, MA: Tom Snyder Productions, Inc., 1998–2001. This software program on CD-ROM investigates soil composition and properties of soil through a fictional courtroom drama. Students gather information from the story as well as suggested hands-on experiments. Near the end of the program, they predict the jury’s verdict. According to the authors, the program takes 2–3 class periods to complete. Available for use on a single computer for approximately $100 from Tom Snyder Productions, 1-800-342-0236, www.tomsnyder.com. Rose, Susanna V. DK Eyewitness Book: Earth. New York: Dorling Kindersley, Inc., 2013. This contains short chapters on a range of topics, from rocks to deposition. The text, which is accompanied by numerous photographs and illustrations, provides interesting facts, such as that the first geological map of the United States was published in 1809. S Branley, Franklyn and Kelley, True. Floating in Space (Let’s-Read-and-Find-Out-Science). HarperCollins, Inc., New York, NY, 1998. An illustrated picture book describes a voyage aboard a space shuttle. It can be used to discuss space travel with struggling readers or to introduce the space unit to the class. S Branley, Franklyn and Kelley, True. The International Space Station (Let’s-Read-and-Find-Out-Science). HarperCollins, Inc., New York, NY, 2000. A picture book describes life in the International Space Station, which launched in 1998 and remains in orbit around the Earth. The book can be used to reinforce concepts related to life in space with struggling readers or to introduce the space unit to the class. Dyson, Marianne. Space Station Science. Windward Publishing, Berkley, MA, 2004. Written by a former NASA mission controller, this book shows what life is like for astronauts at the International Space Station. It includes details about the types of experiments that scientists can do in space. V IMAX: Space Station (DVD). IMAX, 2005. Narrated by Tom Cruise, this 47-minute video has viewers blast into space and visit the International Space Station. It includes images of the Earth from space as well as the space station. Work and daily life inside the station is shown. S Turner, Pamela. Life on Earth—and Beyond: An Astrobiologist’s Quest. Charlesbridge Publishing, Massachusetts, 2008. The focus of this book is the research of astrobiologist Chris McKay. He looks for signs of life in extreme Earth environments in order to understand under what conditions life might be discovered in space. The book is an excellent resource for advanced readers interested in space and scientific research. S Aruego, Jose and Dewey, Ariane. Weird Friends: Unlikely Allies in the Animal Kingdom. Harcourt Children’s Books, Florida, 2002. An illustrated picture book describes interdependent relationships between organisms, such as the rhino and the cattle egret. The book contains 14 different examples and is a simple way to introduce additional biotic interactions within ecosystems. V Great Migrations (DVD). National Geographic, Washington, D.C., 2010. A three-disc series, this DVD collection features over 200 minutes of footage showing the struggle for life. During viewing, students can be asked to identify various ecosystems and the abiotic and biotic factors affecting specific populations depicted in the film. Kimmel, Jim, Kimmel, Jerry, and Sansom, Andrew. Exploring the Brazos River: From Beginning to End. Texas A&M University Press, 2011. This in-depth look of at the Brazos river and its ecology provides an extension the final activity of the ecology unit. The book includes maps and photographs of the Brazos River basin. Seidensticker, John and Lumpkin, Susan. Predators (Insiders Series). Simon and Schuster for Young Readers, 2008. Similar to the DK Eyewitness series, this book is more suited to middle school students because it contains less text and is easier to navigate. Each page is heavily illustrated and a two-page spread showing both vertebrate and invertebrate predators is particularly interesting. Lafferty, Peter. DK Eyewitness: Force and Motion. DK Publishing, New York, NY, 1999. This is a typical DK science book that contains lots of photograph, illustrations, and information. The history behind ideas about force and motion are addressed in chapters on Archimedes, Galileo, Newton, and Einstein. I Phelan, Glen. Invisible Force: The Quest to Define the Laws of Motion (ScienceQuest series). National Geographic Children’s Books, Washington, D.C., 2006. Intended for middle school students, this book describes the history of science behind the development of theories of gravity and motion. It is a good resource for either students or teachers to further their study of motion. S Riley, Peter. Forces and Movement (Straightforward Science). Childrens Press, Connecticut, 1999. Intended for upper elementary students, this 32-page book can be used to review force and motion concepts with struggling readers. S Sohn, Emily and Erwin, Steve. A Crash Course in Forces and Motion with Max Axiom, Super Scientist (Graphic Science Series). Capstone Press, Minnesota, 2007. One of a series of books explains science using a graphic book format and presents the key character as a superhero scientist. This book focuses on forces and motion. It can be used to engage reluctant or struggling readers. I, S Aldersey-Williams, Hugh. Periodic Tales: A Cultural History of the Elements, from Arsenic to Zinc. HarperCollins Publishers, New York, NY, 2012. This book tells the stories behind the discovery of various elements in the periodic table. It is a good resource for teachers who would like to supplement their instruction with historical vignettes. Individual chapters can also be used to provide advanced students an opportunity to learn more about the process of scientific discovery. S Brent, Lynette. Elements and Compounds (Why Chemistry Matters Series). Crabtree Publishing Co., New York, NY, 2008. This 32-page book contains straightforward text that is supplemented with simple photographs to provide an easy-to-understand approach to elements and compounds. It is intended for elementary students and can be used to support struggling readers. I Cullen, Katherine, Ph.D. Chemistry: The People Behind the Science (Pioneers in Science Series). Chelsea House Publishers, New York, NY, 2005. This is one volume from the Pioneers in Science series. In this book, the life and contributions of ten men and women are detailed through essays. Chemists ranging from Joseph Priestly and his ideas about gasses, which were later proven wrong to Dorothy Crowfoot Hodgkin and her x-ray analyses of molecular structures. Gray, Theodore and Mann, Nick. The Elements: A Visual Exploration of Every Known Atom in the Universe. Black Dog & Leventhal Publishers, New York, NY, 2009. Although it can be considered a coffee-table book in size and scope, this reference book contains a color image of the first 100 elements in the periodic table as well as photographs showing how each element presents itself in everyday objects and compounds. I Greenberg, Barbara, R. and Patterson, Diane. Art in Chemistry; Chemistry in Art, Teacher Ideas Press, Portsmouth, NH 2007. This book is a great resource for integrating science and visual art. Electromagnetic radiation, chemical and physical properties, solutions and concentrations, chemical equations, bonding, and acids and bases are some of the science concepts that are addressed. Art concepts that are covered include the nature of color, microsculptures, metalworking and jewelry making, two- and three-dimensional art, and photography. V NOVA: Making Stuff (DVD). PBS, Arlington, VA, 2011. This DVD is a four-part series on materials science that runs 240 minutes total. Each part considers one aspect of making stuff: stronger, smaller, cleaner, and smarter. V** Up Close and Toxic (DVD), Bullfrog Films, Inc., Oley, PA, 2002. This 45-minute program depicts some of the same issues as in the unit. It looks at some of the chemical effects of cleaning products, pesticides, paint dust, lead particles in the carpet and plastic toys. Questions are raised about the risks we are willing to take and the tradeoffs in terms of health effects of using these products. Cosgrove, Brian. DK Eyewitness Book: Weather. DK Publishing, New York, NY, 2007. A fact-filled book for students or teachers who want more information on weather and related topics, including clouds, fronts, wind, and storms. Like other books in the DK Eyewitness series, the text is accompanied by lots of photographs, and the book contains both a glossary and an index. Gallant, Roy. Atmosphere: Sea of Air. Tarrytown, NY: Marshall Cavendish, 2003. Extending beyond the content covered in the unit, chapters here discuss the history of air investigations, rainbows, and air pollution. The book has a glossary, suggestions for further reading, and an index. S National Geographic Kids Everything Weather. National Geographic Children’s Books, Washington, D.C., 2012. To quote the cover, this book contains “facts, photos, and fun that will blow your mind.” The book is divided into four sections: basic description of weather; weather extremes; weather predictions; and fun information about weather. It contains high-quality photographs and can be used to engage reluctant readers with the topic. Rupp, Rebecca. Weather! North Adams, MA: Storey Kids, 2003. A well-illustrated, colorful book that is likely to appeal to middle school students. There are chapters on the earth’s atmosphere, wind, sunshine, clouds, rain, thunder and lightning, snow and ice, and weather prediction. The book describes weather-related experiments and contains a sample student journal. S Sattler, Helen R. and Giulio Maestro. Our Patchwork Planet. New York: Lothrop, Lee and Shepard Books, 1995. A book for middle school students on plate tectonics. A lot of scientific information is accompanied by colorful illustrations as well as remote sensing images. Because the reading can be challenging, the book can be used to extend the unit for those students interested in more detailed information on plate tectonics. S Zoehfeld, Kathleen and Hale, James. How Mountains are Made (Let’s-Read-and-Find-Out-Science). HarperCollins, Inc., New York, NY, 1995. An illustrated picture book explains the relationship between tectonic plates and the formation of mountains, the formation of volcanoes, and the effects of erosion. It can be used to reinforce unit concepts with struggling readers or to introduce the unit to the class. Aguilar, David. 13 Planets: The Latest View of the Solar System. National Geographic Children’s Books, Washington, D.C., 2011. S Branley, Franklyn, Emberley, Barbara, and Emberley, Ed. The Moon Seems to Change (Let’s-Read-and-Find-Out-Science). HarperCollins, Inc., New York, NY, 1987. An illustrated picture book explains the science behind day and night, phases of the moon, and the seasons. It can be used to reinforce unit concepts with struggling readers or to introduce the unit to the class. S Ross, Michael and Moore, Gustav. Earth Cycles. Millbrook Press, Minnesota, 2003. An illustrated book explains the phases of the moon. It can be used to reinforce unit concepts with struggling readers or to introduce the unit to the class. T Seasons. Interactive software. Riverside Scientific, Inc. The Seasons software allows a student to change Earth’s orbit and tilt and then view the effects on seasons in a variety of latitudes. It provides plots of day length and other variables over the year. Available from www.riversci.com ($60–$600 depending on number of licenses), where you can download a trial version. S Simon, Seymour. Earth: Our Planet in Space. Simon and Schuster Books for Young Readers, New York, NY, 2003. Large photographs of Earth in space are supplemented by explanations on the relationship between Earth, the sun, and the moon. A short book with easily understood text that can be used to supplement or help simplify the presentation of unit concepts. Chown, Marcus. Solar System: A Visual Exploration of all the Planets, Moons and other Heavenly Bodies that orbit our Sun. Black Dog & Leventhal Publishers, New York, NY, 2011. Although it can be considered a coffee-table book in size and scope, this reference book contains both computer-generated and photographic images of objects in our solar system. Data includes length of day and axial tilt; this information can be analyzed by students to extend the unit concepts. S Hughes, Catherine and Aguilar, David. National Geographic Little Kids First Big Book of Space. National Geographic Children’s Books, Washington, D.C., 2012. A comprehensive book on space with lots of high-quality photographs can appeal to a range of reading levels. The book is divided into five chapters and covers topics such as planets, comets, galaxies, the universe, black holes, and space exploration. ** Ride, Sally and Tom O’Shaughnessy. Exploring Our Solar System. New York: Crown, 2003. A beautifully illustrated description of objects in the Solar System, including discussions of some of the missions and remote sensing tools used to gather information. The 110-page book includes a glossary and list of space flights to objects in the Solar System from 1959 to 2001. S Simon, Seymour. Smithsonian: The Universe. Morrow Junior Books, New York, NY, 2006. Large photographs of nebulas, galaxies, and other space elements are supplemented by explanations in the text. A short book with easily understood text that can be used to supplement or help simplify the presentation of unit concepts.